Maryland highway crews will be repaving a section of northbound Interstate 95 in one of the final segments of the Intercounty Connector project. The paving will require a week's worth of overnight road closures, starting at 8 p.m. Tuesday. Crews will strip the top layer of pavement, known as milling, and lay new asphalt on northbound I-95 between the Intercounty Connector interchange to just north of Sandy Spring Road. The State Highway Administration says the work is necessary to repair deteriorating pavement. Starting Wednesday, crews will close three lanes of traffic every night for a week between 11 a.m. and 5 a.m. 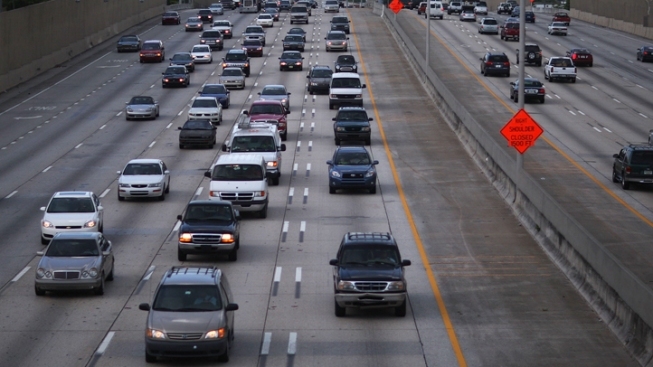 Single lane closures will begin each night at 8 p.m. Drivers are advised to use alternate routes such as the Baltimore-Washington Parkway or U.S. Route 29.